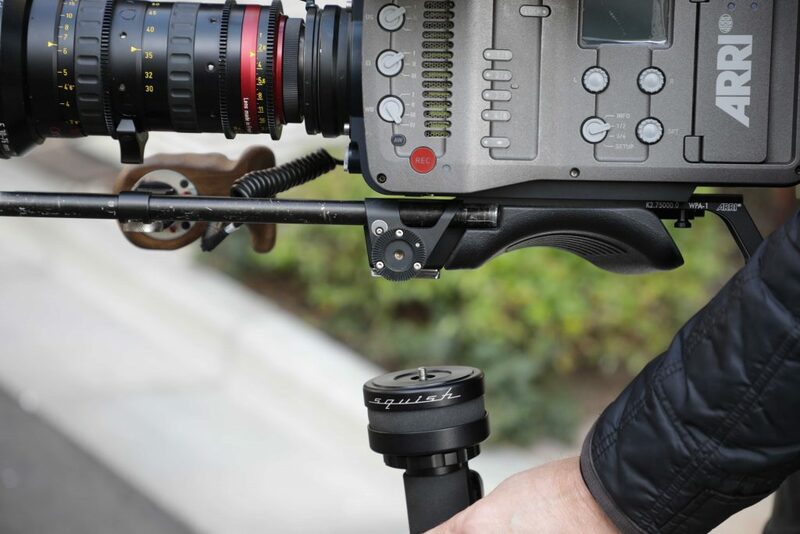 Squish is an attempt to provide a better solution when using a monopod such as the Steadicam Air series. 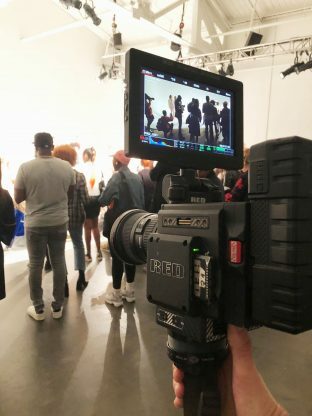 I reviewed the Steadicam Air 25 last year and although I loved the product, my biggest criticism was that it is hard to keep the horizon level at times when you are shooting. 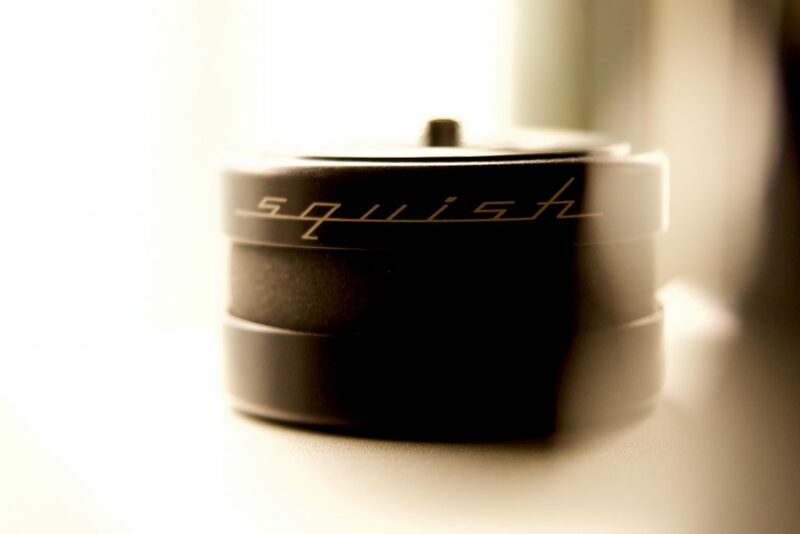 In short, Squish is a uniquely designed head that is perfect for omnidirectional horizon correction, vibration isolation and dutch angles for your monopod. It was the brainchild of MC4 who needed to come up with a solution for a real-world problem. If you have ever used a monopod, its Achilles Heel is keeping the horizon level. While a monopod is fast and nimble there is no easy way of keeping the horizon level when you are shooting unless you are using a camera with a horizon level indicator that can be brought up in the viewfinder or LCD screen. It looks a lot like an oversized hockey puck or a giant Oreo cookie, but it has been designed this way for a reason. MC4 consists of Jarred Land, president of RED Digital Cinema, Francis Kenny ASC, Richard Crudo ASC, and Sallyanne Massimini, DGA. 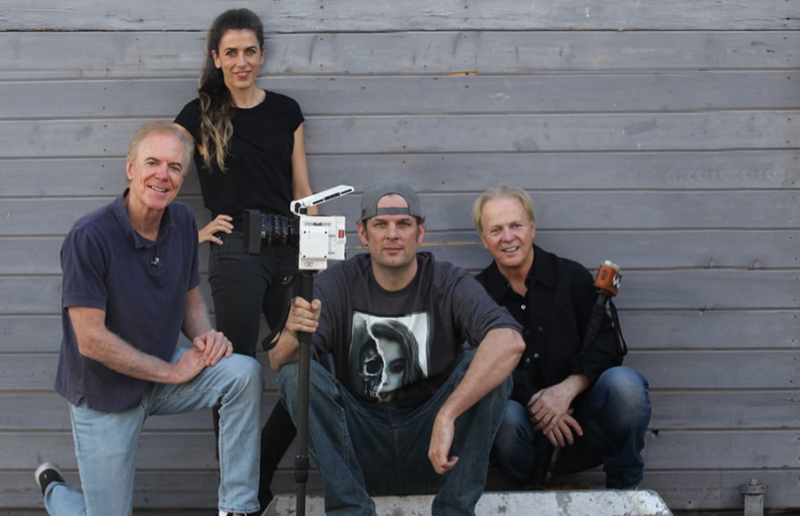 This group of four filmmakers is dedicated to crafting quality, memorable content and creating technological innovations that both speed and ease the art of cinematography and photography. One of the brains behind the Squish Francis Kenny ASC is currently working on the CBS show S.W.A.T. 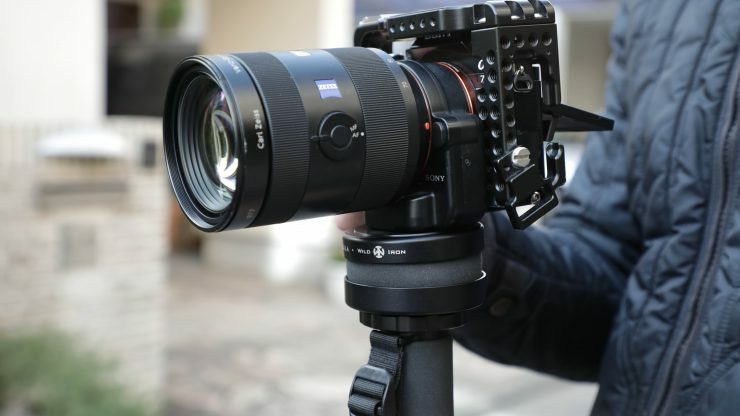 It’s fast-paced, uses 3-4 RED Monstro cameras, and requires a minimum of 100 setups a day. Half of the work is done on stage in Santa Clarita, CA. the other half is shot on location. A lot of the locations are very small with one doorway, which is always a challenge to shoot when you have 3-4 cameras. Francis found current support gear was too big and cumbersome, so he needed to use a solution that allowed everyone to be as mobile as possible. The first part of this equation was to use the Steadicam Air 25, but then they needed to come up with their own custom solution to keep the horizon as level as possible. This lead to the development of the Squish, which solves this exact problem when using a monopod such as the Steadicam Air 25. Both Jarred Land and Francis knew that whatever they made had to be strong, be able to correct for a minimum of 15-20 degrees, and never separate or come apart. The team spent over a year testing different densities and viscosities with the help of a small company in New Jersey called Wild Iron. 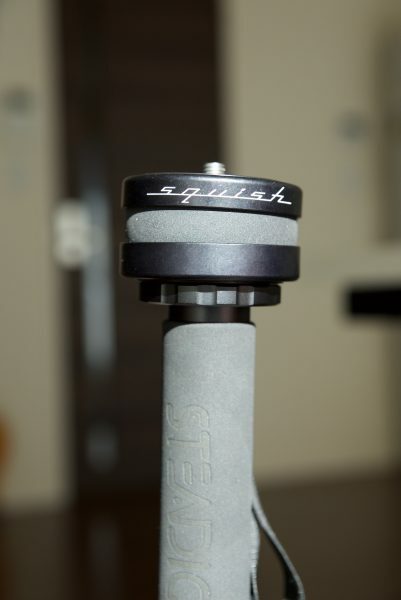 The Squish is made from specially formulated polymers and aerospace metals. It has a 1/4 inch male thread on the top and a 3/8 inch female thread on the bottom. You also get a 1/4 inch to 3/8 inch adapter. 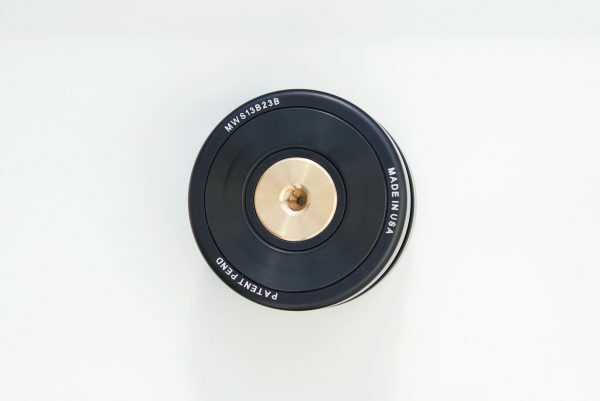 It weighs in at 2 lbs (907 g) and is 3 inches (7.6 cm) in diameter and 1.97 inches (5 cm) tall. The Squish comes with a 1-year warranty. 2 lbs (907 g) is fairly heavy and once you add the Squish to a monopod such as the Steadicam Air 25 you can definitely feel that extra weight. It almost feels like it was over-engineered to be used on a simple monopod. The Squish is certainly well made and you can tell it was designed and built by people who knew what they were doing. Once the Squish is screwed onto your monopod there is no play or wobble in the connection. It’s absolutely rock solid. The Squish sits in between your camera and your monopod. It sort of acts as a shock absorber that can be moved both horizontally and vertically. 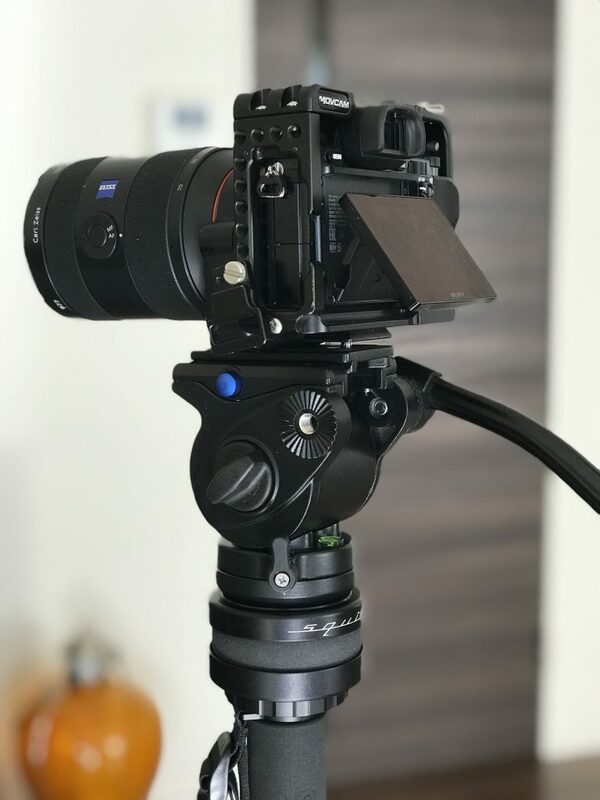 It’s been designed so that you can correct your horizon without having to do anything more than just apply a small amount of pressure when you are holding your camera. From my time testing the Squish I found it worked better with smaller cameras that weren’t that heavy. With smaller payloads and cameras that aren’t very long, the Squish does a really good job. It provides just the right amount of resistance that you can make subtle adjustments to your horizon so your shots are level. 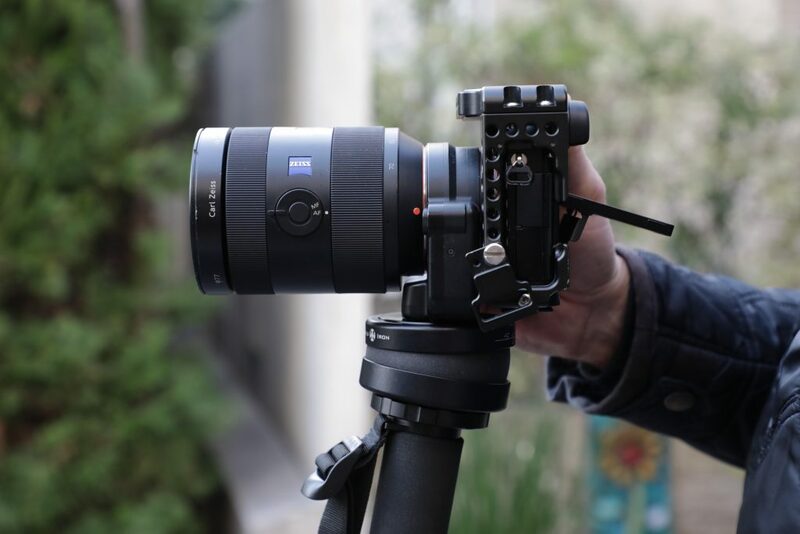 With small mirrorless or digital cinema cameras, you can simply just physically move the camera with your hand to adjust its position relative to the horizon. I can see why they like using the Squish with RED cameras. 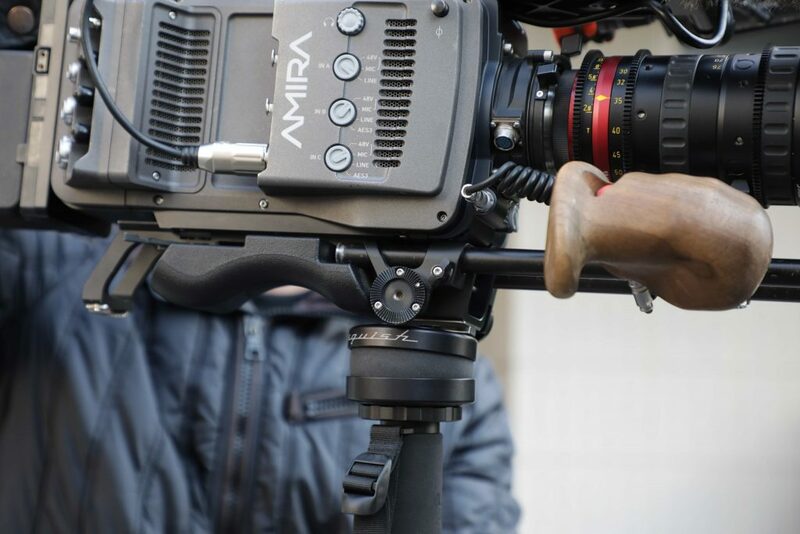 If you use it with a larger camera such as the ARRI AMIRA, the weight and length of the camera forces the Squish to either push down at the front or the back or to one side. I attempted to get around this by trying to balance the camera so that the weight is distributed evenly over the Squish, but this didn’t seem to make much of a difference. 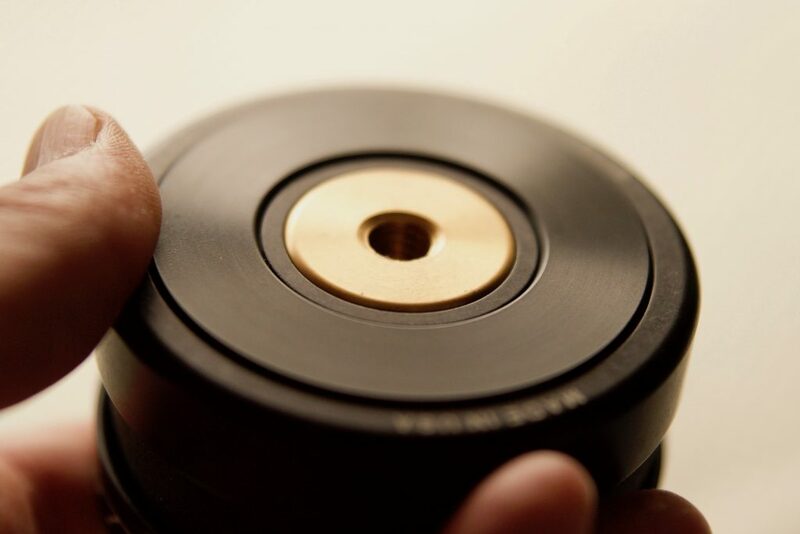 Unfortunately, I found long and thin cameras like the ARRI Amira were unusable with the Squish. The length, size, and weight of the camera made it wobble around like jello on top of the Squish. Is it a replacement for a flat base tripod head? In short, no. 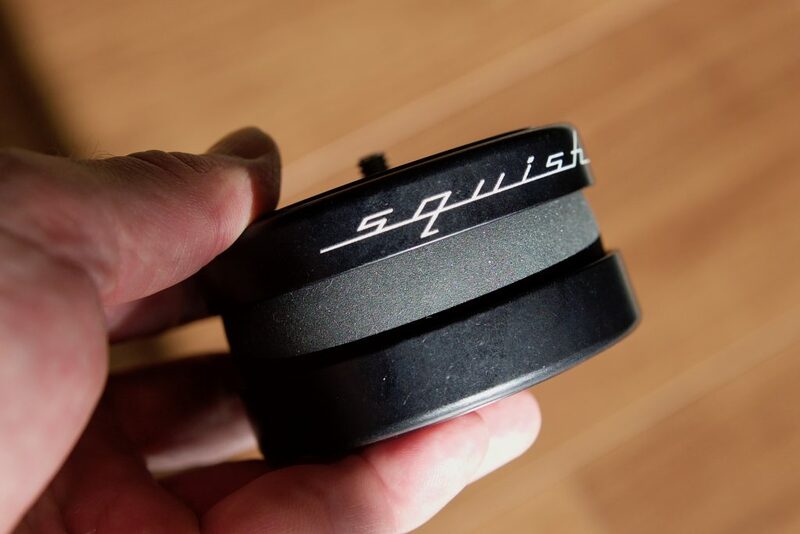 The Squish isn’t really a replacement for a flat base tripod head, although you could actually use it with one. I found I actually got good results using it in conjunction with a flat base tripod head, especially with smaller DSLR or mirrorless cameras. A flat base tripod head will still give you the best option for doing pan and tilts, but it also adds weight to your monopod. 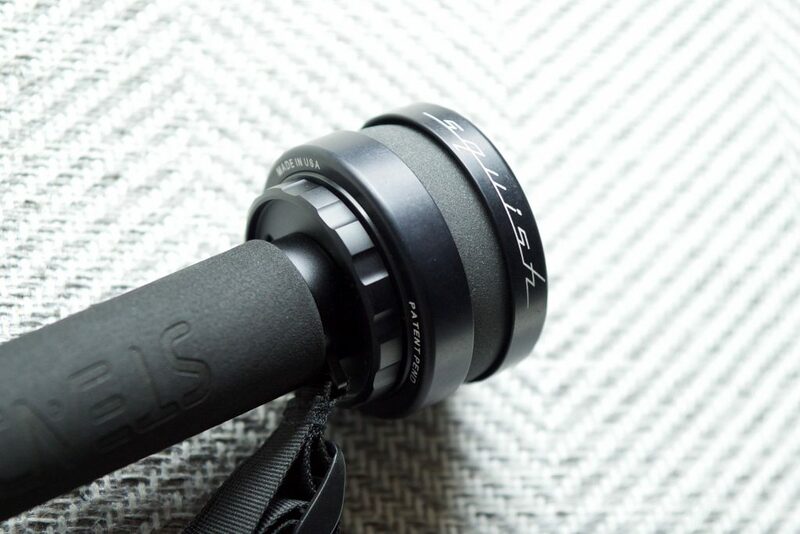 At $149 USD the Squish is not exactly cheap, especially given the price of most monopods. What you need to take into account is this is a speciality item that is being made in fairly limited numbers. If you are using a monopod a lot then the price of the Squish can be justified. If you are just an occasional user of a monopod then you may not feel like the expense is worth it. The Squish is quite a unique product and it certainly does make difference if you are using a monopod and don’t want to go down the route of attaching a flat base tripod head. From my testing, I did find that it works better with cameras that aren’t long, such as a RED, Canon C100/200/300, Sony FS5, FS7 etc.